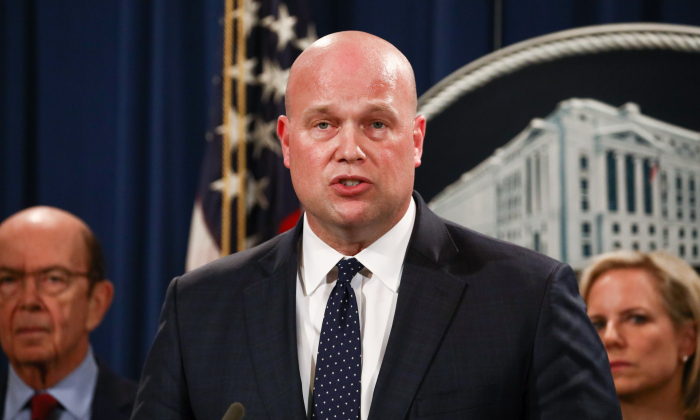 WASHINGTON–Democrats on the U.S. House Judiciary Committee prepared a subpoena on Feb. 7 to compel acting Attorney General Matthew Whitaker to testify on Feb. 8, prompting Whitaker to say he would not appear unless the subpoena threat was lifted. Shortly before Whitaker’s threat to withdraw from the hearing, the House Judiciary Committee had voted 23–13 along party lines to have a subpoena ready in case Whitaker failed to show up or refused to answer questions. House Judiciary Committee Chairman Jerrold Nadler said the vote only authorized a subpoena, but that one would not be issued as long as Whitaker appeared at the hearing and cooperated. Assistant Attorney General Stephen Boyd, in a letter to Nadler, said Whitaker is prepared to discuss topics if the subpoena threat is removed, including his decision not to recuse himself from the Russia probe.